Mardis Marcell Mitchell, 70, a former U.S. Marshal who became a bail bondsman and head of the D.C. Bail Bond Association, died of diabetes July 30, 2005, at his home in Fort Washington, Maryland. Sergeant Mitchell also served in the Air Force as a security policeman and was a member of a security team guarding the U.S. president. Known as "Mitch," he was born in Camden, Arkansas. After high school in 1951, he joined the Air Force. He attended college at the University of Maryland and McMurray College in Abilene, Texas. In 1965, Mitchell worked as a member of the presidential team responsible for securing Air Force One. In 1968, he served as noncommissioned officer in charge of the Deserter Apprehension Section to the Armed Forces Police Detachment based at the Washington Navy Yard. He received a presidential citation for capturing an unprecedented number of deserters. Mitchell retired in 1972 and immediately was sworn in as a Deputy U.S. Marshal assigned to the U.S. Marshal Service in Washington. His tenure as a Marshal encompassed several of the Washington area's most talked-about cases, including the Watergate hearings with Chief Judge John Sirica; the murder trial involving the first female D.C. police officer killed in the line of duty, Gail Cobb; and the trial of former Maryland governor Marvin Mandel in Baltimore, presided over by Federal Judge John Pratt of the U.S. District Court of Washington. After retiring from the Marshal Service in 1985, Mitchell operated Mitchell Surety Service and provided bail bondsman services for the Washington area. He also served legal papers for law firm clients across the country. In 1990, Mr. Mitchell talked about his decision to become a bail bondsman. "Some people say going from being a law enforcement officer to being a bail bondsman is being a traitor," he told the Legal Times. "But to me, it's the same as a prosecutor becoming a defense lawyer." Throughout his careers, he served as a mentor to young men and women he encountered. He was known by friends and family for his love of jazz and blues. His pastimes included watching Court TV programs and old Westerns. Mr. Mitchell had been a member of the Disabled American Veterans, the Fraternal Order of Police (Jerard F. Young Lodge No. 001) and the American Legion. His marriage to Marie Mitchell ended in divorce. Survivors include his companion, Sharon Lovell of Manassas; a daughter from his marriage, Marda Mitchell of Fort Washington; two children from other relationships, Gregory Mitchell Neal of Fort Washington and Yvonne Souto of Boston; two brothers, Edward Ray Mitchell of Pittsburgh and Willie Horace Mitchell of Takoma Park; three sisters, Gloria Faye Bey, Diane Ball and Maxine Mosley, all of Pittsburgh; and two grandchildren. 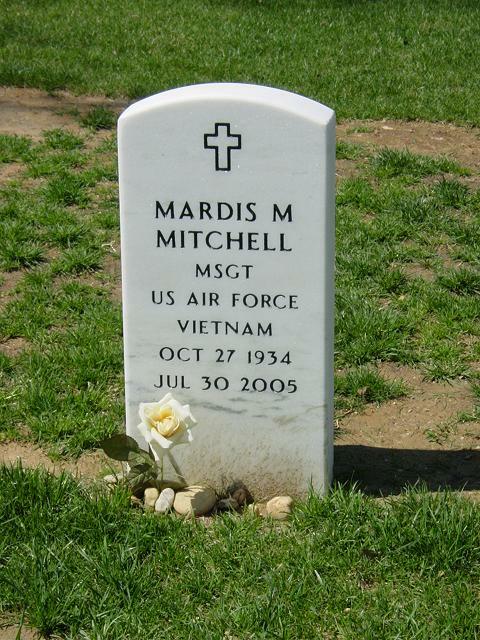 Died July 30, 2005, son of the late Marcellus and Armanda Mitchell of Pittsburgh, Pennsylvania. He leaves three children, Gregory M. Neal, Marda Mitchell of Fort Washington, Maryland, and Yvonne Souto (Henry) of Boston, Massachusetts; two brothers, Edward Ray Mitchell of Pittsburgh, Pennsylvania, and Willie Horace Mitchell of Takoma Park, Maryland; three sisters, Gloria Faye Bey, Diane Ball and Maxine Mosley of Pittsburgh, Pennsylvania; one sister-in-law, Martha Mitchell of Takoma Park, Maryland; two aunts, Katherine Taylor of Texas and Myrna Johnson of Pittsburgh, Pennsylvania; two grandchildren, a host of nieces, nephews, cousins and friends. Interment Arlington National Cemetery on Wednesday, August 17, 2005 at 10 a.m. In lieu of flowers, contributions may be made to the Mardis Mitchell Fund, Attn: Kanithia Alston, PNC Bank, 6196 Oxon Hill Road, Oxon Hill, Maryland 20745.